Looking to burn thigh fat? You are in luck. The video, featured below, shows how you can burn thigh fat with just 12 minutes a day. 1. Lifestyle changes. The Mayo Clinic recommends a diet low in saturated fats and high in fruits and vegetables. It recommends making small changes in your daily life — for instance, taking the stairs instead of using the elevator. The small changes add up. 2. Strength training. Muscle burns more calories, even while you are resting. The video below shows you how to do exercises from side lunges to leg lifts. 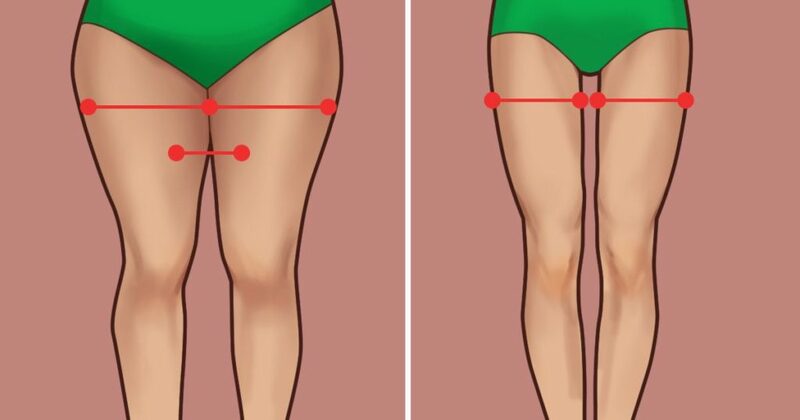 Both are intended to define and tone those leg muscles. 3. Consistent aerobic exercise. “As a general goal, include at least 30 minutes of physical activity in your daily routine,” states the Mayo Clinic. You can’t make it to 30 yet? Start out committing to 12 minutes, and work up from there. What better way than to make it easy?! YouTube channel XHIT Daily shows how it’s down below.